Murali is a Partner at Rajah & Tann Singapore LLP. He has an active practice dealing with a wide spectrum of matters, including employment law and financial services. He also advises financial institutions on contentious regulatory matters and is repeatedly pitted against senior counsel. Murali is recognised and cited in various legal publications. He is commended in the In-House Community External Counsel of the Year 2018 as being “extremely skilled, knowledgeable and competent. Very practical, he picks up on commercial needs and concerns quickly. Prompt, despite being in heavy demand, he is a man of integrity who gives his best no matter how big or small the matter.” The Legal 500 Asia Pacific (2018) cited him as “extremely versatile and commercially astute and provides clear, succinct and on-point advice” for labour and employment. He is ranked in Chambers Asia Pacific (2019) as a notable Band 2 practitioner for employment matters. Asialaw Profiles (2019) ranks him as a leading lawyer. Prior to pursuing a career in law, Murali served as an Assistant Superintendent of Police in the Singapore Police Force primarily conducting investigations on white-collar crimes. With his team of top-performing colleagues, his commitment is to provide his clients with timely, business oriented and cost-effective solutions. 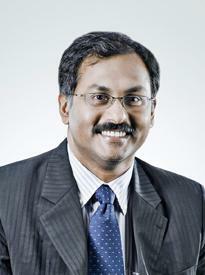 Murali has argued several landmark civil and criminal cases in the Supreme Court of Singapore. He has also been appointed as arbitrator in both international and domestic disputes. Highlighted below are several of his cases. Acted for multinational companies in employment matters which require enforcement of restrictive covenants to protect confidential information and secrets. Acted for several financial institutions in employment issues arising from the departure and recruitment of senior employees involving issues of enforcement of post-termination restrictive covenants and banking secrecy. Advised and acted for a telecommunications company in a claim against one of its ex-retail executive for breach of employment contract in wrongfully misappropriating 106 handsets over a sustained period of more than 2 years. Acted for the Singapore subsidiary of a leading Japanese manufacturing company listed on the Tokyo Stock Exchange on the termination of the employment of a long-serving employee amidst allegations that the company had failed to make Central Provident Fund contributions to the employee. Acted for a life insurer against its financial director in an action where it was alleged that the life insurer provided a false reference check maliciously or, in the alternative, negligently. Acted for a multi-national company in its action against its former director for breach of fiduciary duties and recovery of assets purchased using company funds. Acted for a bank to recover substantial amount of money and assets from an employee who defrauded the bank. Advised and acted for the Singapore branch of a Hong Kong-based bank to effect a claw-back of a sign-on bonus following the departure of a senior management employee. Acted for private banks in several High Court cases where clients had alleged mis-selling, breach of contractual and tortious duties, etc. against the banks. Acted for a bank in an action against a mortgagor, whose committee, appointed under the Mental Disorders & Treatment Act, claimed that the mortgagor acted under undue influence and did not have the capacity at the time to carry out the mortgage. Acted for a bank to recover substantial amount of money paid out to third parties by reason of a fraud on the bank. Advised several banks on regulatory requirements in relation to the anti-money laundering and international sanctions issues. Advised a bank on the local issues arising from action by the US authorities in the US Federal District Court pursuant to the US PATRIOT Act. Acted for an insurer to recover a substantial amount of money paid to a policyholder by mistake. Acted for a life insurer against a policyholder in a case involving serious allegation of forgery. Argued for the recognition of the common law tort of harassment for the first time in Singapore. Acted for a director and shareholder in a High Court claim involving issues of breaches of fiduciary duties and conditions in a distributorship agreement. Acted for a minority shareholder against a listed company, the majority shareholder, in a minority oppression case. Argued for the Law Society of Singapore before the Court of 3 Judges for the admission of video and audio recordings surreptitiously taken by a private investigator as substantive evidence. This case is the leading Singapore case on the treatment of entrapment evidence. Acted and argued successfully for a former Director of Commercial Affairs Department accused of committing Criminal Breach of Trust. This was a special case stated (the 1st in more than 30 years then) before the Chief Justice on the evidential treatment of representations made to the Attorney-General Chambers. Acted for the biggest ready-mixed concrete company in Singapore both at trial and at the Court of Appeal against claims arising from the 2007 ban by the Indonesian government against the import of sand into Singapore. Acted for the executors of the estate of a well-known personality in a probate matter where allegations of malfeasance on the part of the executors were raised. Acted for a purchaser in an aborted deal for shares in a company that was to be listed against the vendor who sued to complete the deal in a well-publicised trial as well as its ensuing appeal. Acted for a statutory board in an action involving the issue of whether promissory estoppel can arise over state land. Acted for a systems and equipment integration company in arbitrations involving complex engineering disputes arising from a turnkey project with its suppliers. Acted for a listed company against its joint venture partner in an international ICC arbitration concerning disputes arising from a sewerage and waste treatment plant project. Acted for a former Member of Parliament charged with offence of criminal breach of trust as an agent, the most serious white collar offence in the Penal Code. His client was acquitted without entering a defence. The acquittal was upheld on appeal too. Acted for a statutory board to resist a judicial review application by a temple requiring the board to offer a piece of state land. Acted for a listed company in a judicial review application against the Commissioner of Buildings to quash his decision issued against the company.